Maurcio Santoyo Velasco, the retired general of the Colombian National Police (CNP) and the once security chief of former President Uribe, was sentenced today, December 14, in the Eastern District of Virginia, for thirteen years in prison and a fine of $125,000. He had been indicted in May 2012 by the U.S. Drug Enforcement Administration (DEA) officials in Bogotá, Colombia. The retired general was sentenced for providing material and informational support to the Colombian Paramilitary –United Self-Defense Forces of Colombia (AUC), a group Washington recognizes as a terrorist organization. The rise of Santoyo as a powerful force within the Colombian National Police began during his tenure as a commander in Medellín (1996-1999), where he was part of the anti-kidnapping and anti-terrorism unit. Later, he was moved to become the Commander of the Cuerpo Elite Anti-Terrorista, elite, anti-terrorism task force, which was one of the principle forces designed to fight terrorism. At the peak of his career, Santoyo was the chief of ex-president Álvaro Uribe’s security. On July 3 Santoyo was transported the DEA to the state of Virginia, where he has been held pending the decision of the Alexandria court house judge Cacheris. The retired general was accused in Alexandria court of conspiracy to smuggle and distribute drugs into the United States. He has pleaded not guilty to all the charges and has maintained his confidenceof a release. Nevertheless, on August 21 Santoyo pleaded guilty on the charge of providing material and informational support to the Colombian Paramilitaries from 2001 to 2008, and reached a plea agreement. In the statement of facts it was revealed that “AUC members would pay substantial bribes to Santoyo in exchange for his assistance in their operations.” Furthermore, the retired general would “inform members of AUC of ongoing investigations by Colombian, British, and the U.S. law enforcement.” As a result of Santoyo’s plea and his valuable debriefing as an experienced military official, the drug charges were ultimately dropped. 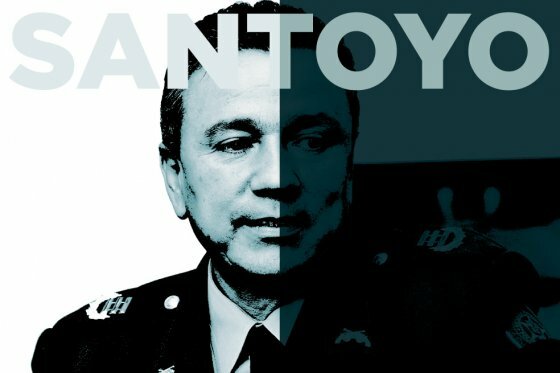 The cooperation of Santoyo with the U.S. authorities and the information revealed to them might implicate a number of Colombian political figures and the members of themilitary, due to the information disclosed by Santoyo to the U.S. authorities as a part of his quit pro quodebriefing. Iván Cepeda, a representative of the lower chamber of the Colombian Congress, has already declared that the U.S. authorities could charge as many as eight high officials of the Colombian military on the grounds of corruption. 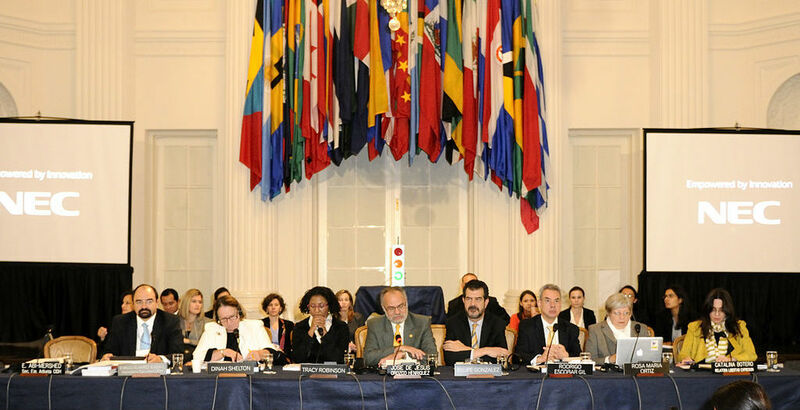 It is clear that Santoyo’s superiors will be targeted next, while Cepeda named two of them: Luis Alfredo RodríguezPérez and Jorge Daniel Castro Castro, who ranked above Santoyo at the time when the later held the position ofthe Commander of the Elite Anti-terrorist Group (CETA) from 2000 to 2002. Additionally, there is another important key piece of Santoyo’s biography that seems to be repeatedly overlooked by the U.S. authorities: Mauricio Santoyo’s connection to the ex-president Álvaro Uribe. The relationship goes back to 1999, when Santoyo was the commander of the CNP in Medellín, in the region of Antioquia, and Uribe was the governor of Antioquia. Santoyo was named the chief of Uribe’s security during the presidential campaign later on in 2002 and continued as a chief of security for the President from 2002 to 2005. 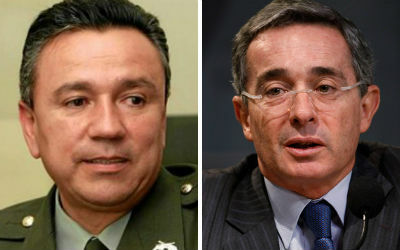 Since the charges were brought against Santoyo, Uribe denied any association to the retired general and declared that he will not “assume any political responsibility for the Santoyo case.” According to the ex-president, he did not appoint Santoyo to chief of security position, instead insisting that he merely accepted Santoyo after it was presented to him by the Ministry of Defense. The lack of public support from Álvaro Uribe and more importantly full disregard of any relation to the retired general was a direct signal to Mauricio Santoyo that he was on his own in Virginia. This might explain the dramatic change in his attitude and the decision to finally plead guilty to the charges presented by the attorney for the Eastern District of Virginia, Neil MacBride. An additional piece of this political puzzle is embodied in the disagreement between ex-president Álvaro Uribe and his handpicked successor that he formerly supported – Juan Manuel Santos. Complex political intrigue may have led to Santoyo’s imprisonment. The split between Santos and Uribe has become widely known to the public shortly before the beginning of the peace negotiations with FARC. This sentencing provides us with an unprecedented case, when the highest ranked Colombian ex-military to this day is sentenced to spend the next thirteen years of his life in prison. Assuming that the U.S. authorities will continue to investigate the superiors of ex-general Mauricio Santoyo we might see more such politically explosive cases in U.S. court rooms.